I take my laptop with me when I travel. For me, comfort, solitude, and having a good atmosphere are required for a good working space. 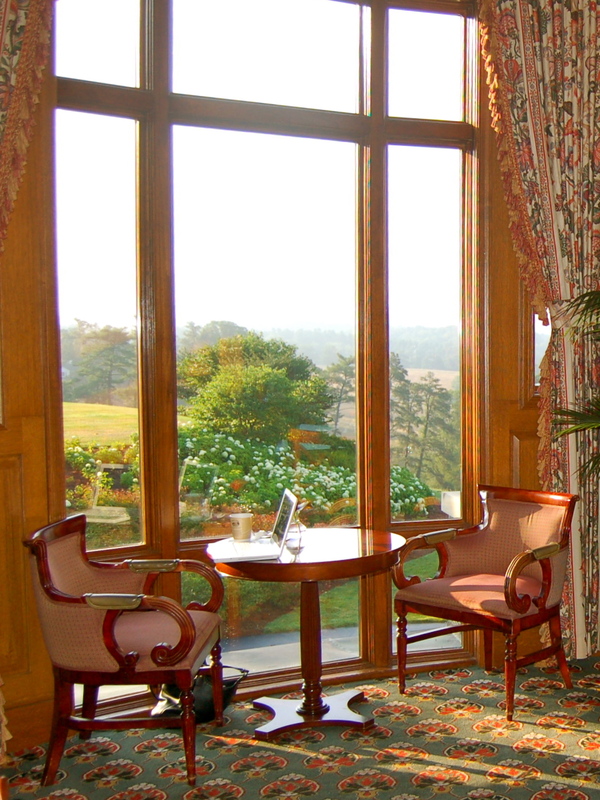 A quiet cozy cafe, a turret room looking out at mountains, a veranda overlooking an ocean, or a historic library have been some of my favorite and most productive places to write. 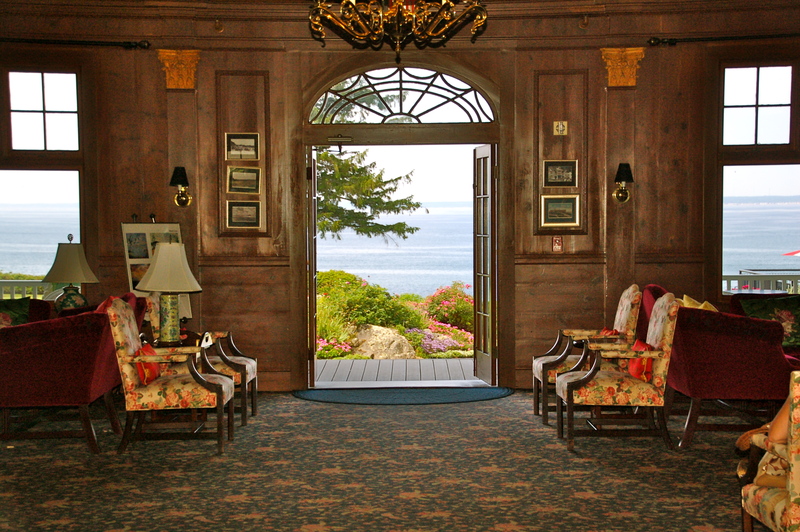 Another favorite of mine is the Colony Hotel in Kennebunkport, Maine. They have a back veranda that overlooks the Atlantic Ocean. A comfy chair, the ocean, and a light breeze – could there be a better writing atmosphere? A few years ago, I visited Stockbridge, Massachusetts for a month, where I found a kind of Northern Goose Pimple Junction (the small town feel and Norman Rockwell’s Main Street USA), but I also found my favorite library ever. 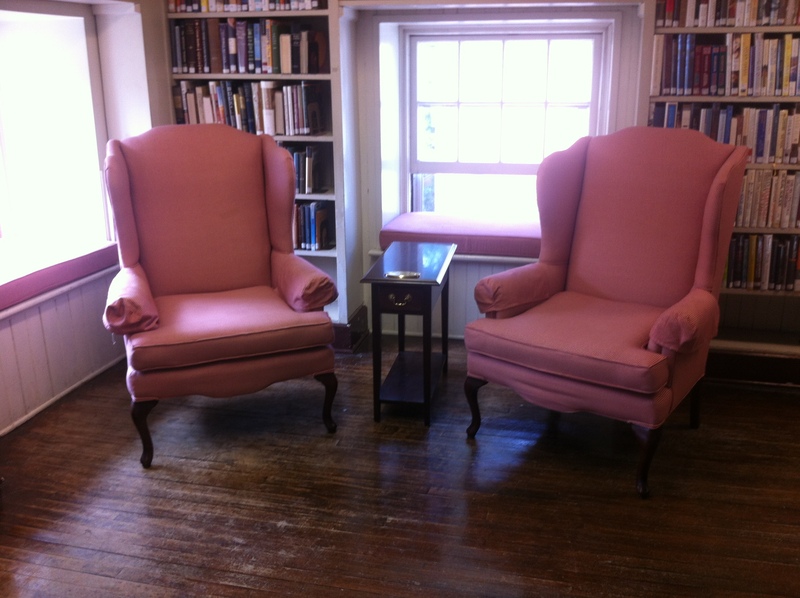 I walked to the Stockbridge Library every day and spent hours in the upstairs room that was empty most of the time. I sat at a big table or sometimes in a wingback chair, and there was something about that room that really fed my soul. 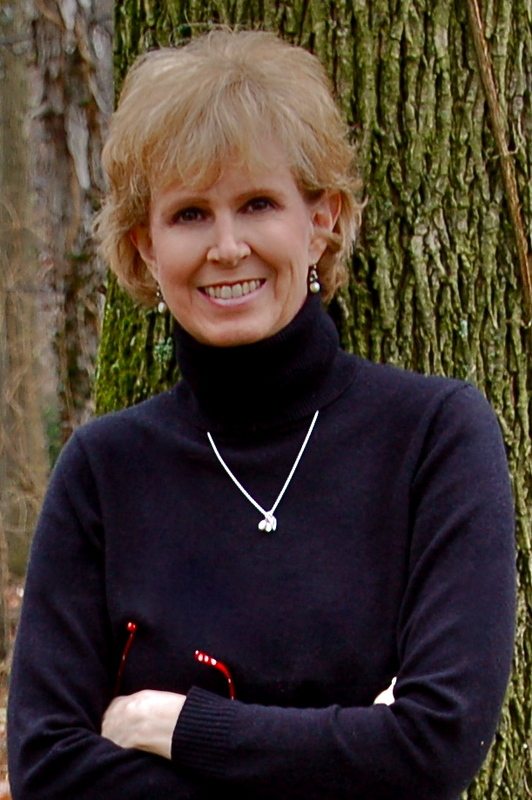 Surrounded by books and years of history, my big open “office” gave me hours of writing time. I had an outlet right behind me to power my laptop, and they had free Internet service. I often took a lunch and literally spent the day there. I guess sometimes I hogged the room, but my philosophy was first come, first serve, if you snooze, you lose, and all that. I tried to get there early each day, as if I were going to work, but one day I showed up at 9:30 instead of 9. Horror of all horrors, instead of walking into my empty “office,” I found another girl not only in my office but sitting at my table. How dare she! I shot her dirty looks throughout the day – she stayed way too long, in my opinion – and vowed to never be late again. So the next day, I got there when the library opened. Sure enough, a little bit later, the girl showed up. I smiled sweetly when she gave me the stink eye, but it didn’t take long for me to feel like a jerk, and I offered to share my table, which she accepted. Luckily, she was only in town for a few days, so after that, I had my office – and solitude – back to myself. 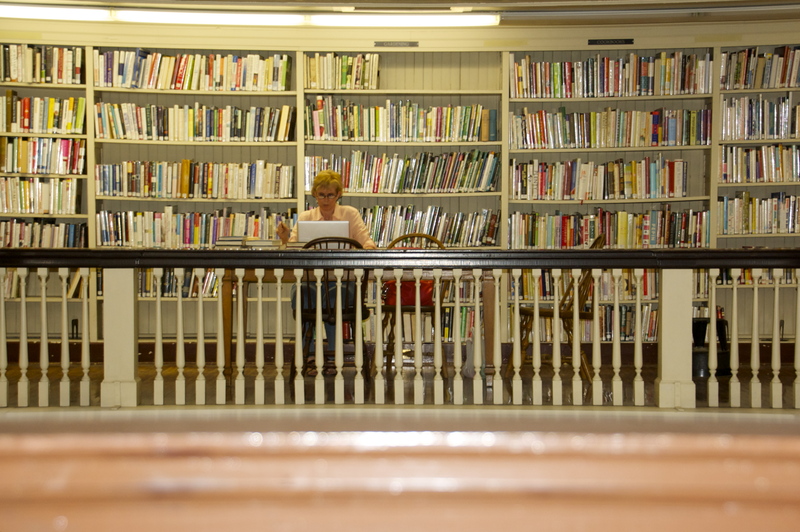 I don’t have a library in the city where I live that gives me that same feeling the Stockbridge Library did, so most of the time I write at home. In the summertime, the window gives me a lot of sunlight and in the wintertime, the fireplace gives me a warm and cozy “feel good” feeling. Sweet tea – either hot or cold – is usually involved. In the car, at a park, a restaurant, library, hotel, on a sofa, chair, stool, on a plane or on a train . . . On the days when my characters are talking to me and I’m in my Goose Pimple Junction zone, life is good, wherever my laptop may take me. 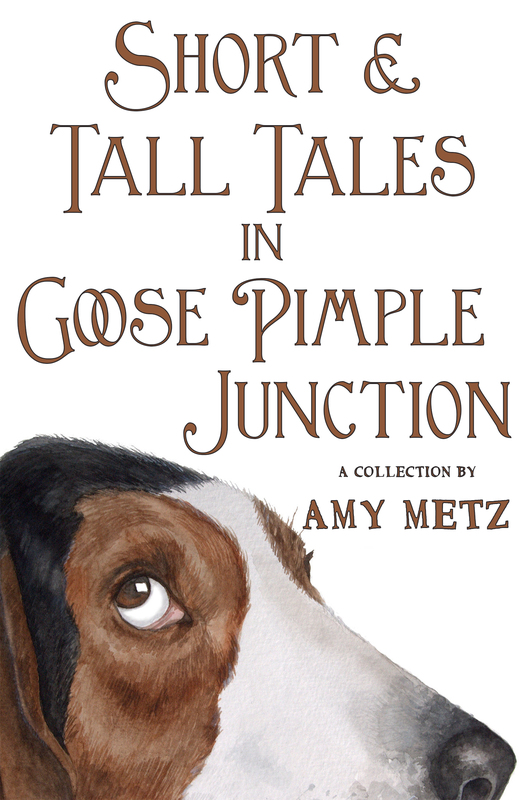 Interested in winning an e-copy of Short & Tall Tales in Goose Pimple Junction? Just send an email to jenna.czaplewski@gmail.com with the subject line “Goose Pimple Junction Giveaway” and be sure to include your name and email address in the body. Entries must be received by 11:59p.m. CST on Thursday, October 29, 2015. Winner will be notified by email. Good luck!